Wow! 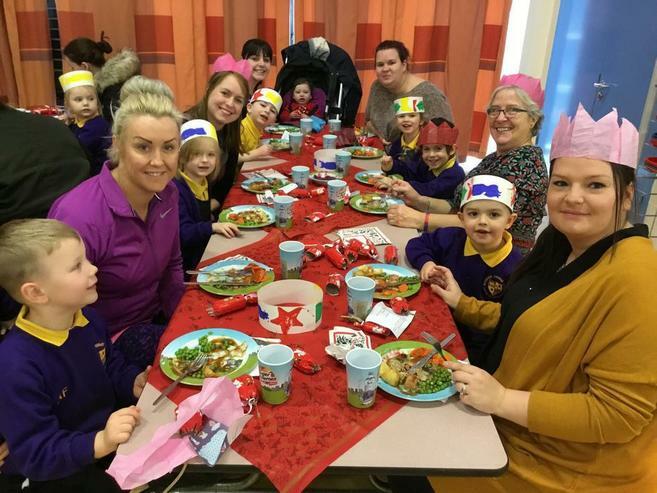 The children loved sharing their work, songs and scones with their parents. Excellent work everyone!! 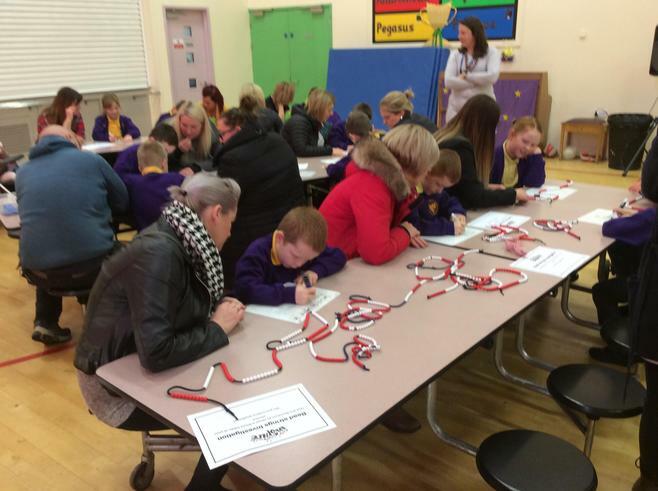 Thank you very much to all of our amazing parents who joined us to make book marks for world book day. It was so lovely to have so many to you join us! Meow! The parents had such a treat enjoying the Greek food prepared for them by Year 5. They saw Greek dancing and observed their amazing Ancient Greek pots. What a fantastic afternoon! Thank you very much to all the parents who attended the Year 6 SATs talk. Thank you for all the support you give your children. 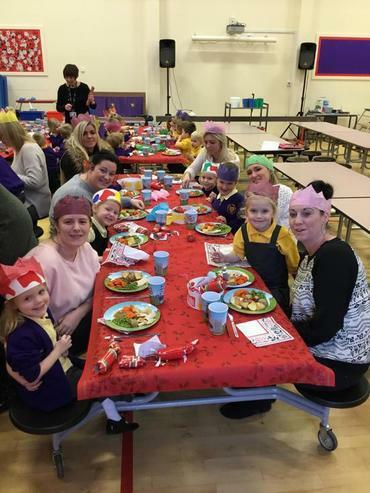 Thank you so much to all our wonderful parents who have attended our Christmas performances. 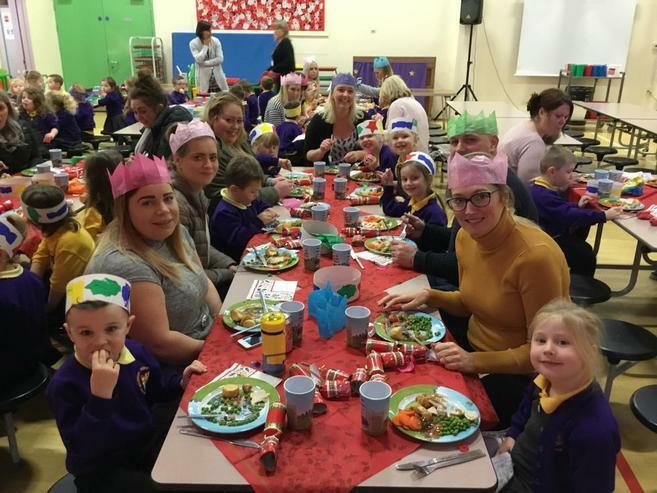 We are so proud of the children and have been delighted to share this with you! 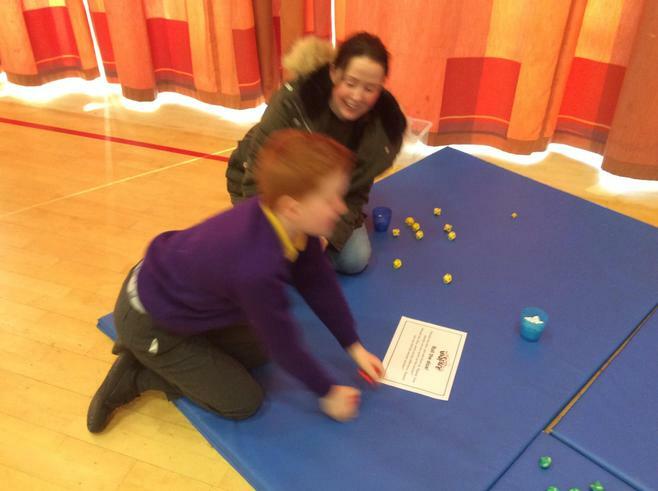 Thank you very much to all our wonderful year 5 parents who came in to make space buggies with their children. It was a delight to see you all in school and looked like you had lots of fun! 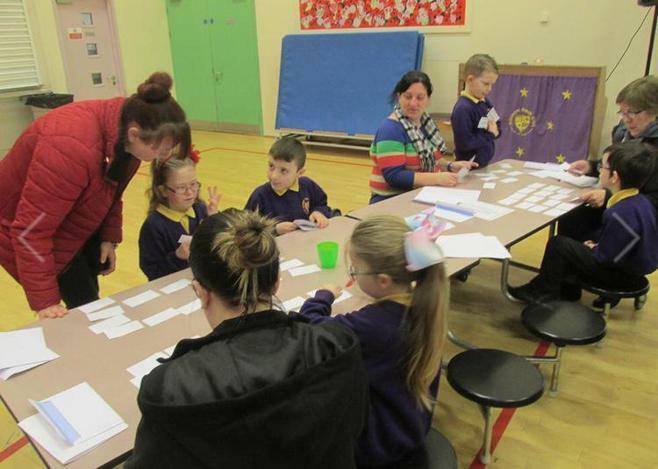 Thank you so much to all the wonderful Year 3 and 4 parents who attended our Inspire workshop. 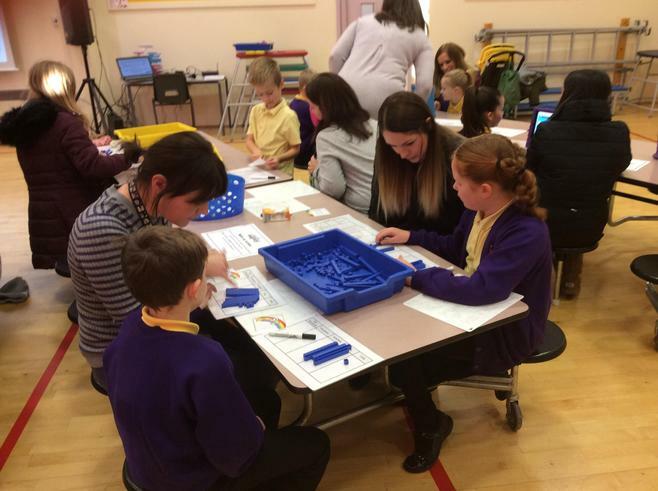 We loved showing you what being a Maths Mastery school means and how we support the children in school with practical equipment. Thank you so much for your support! 23.11.18 Year 2 Superhero Event! Wow! Check out all this amazing learning that has been happening at home!! 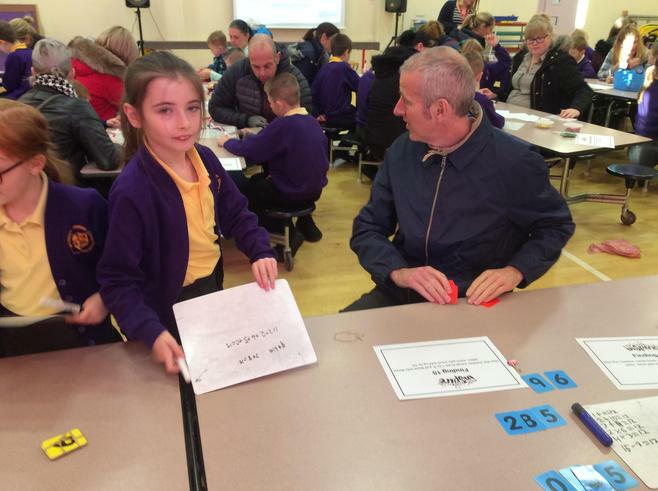 Mr Bell was so impressed with his first home learning challenge- well done everyone! Our amazing parents always go the extra mile to support their children. Here are just a few examples of their amazing homework projects. We know that as a team, we can provide our children with the best possible learning opportunities. Thank you for everything you do! 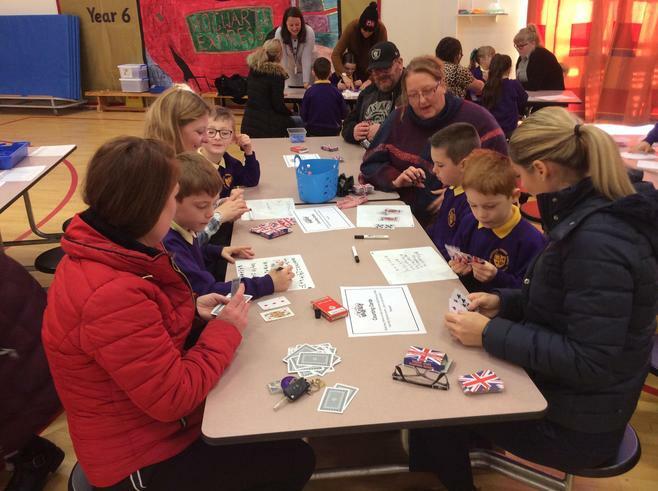 The Year 6 parents loved coming to see their children's Harry Potter inspired learning and enterprise project today. Fantastic learning everyone! 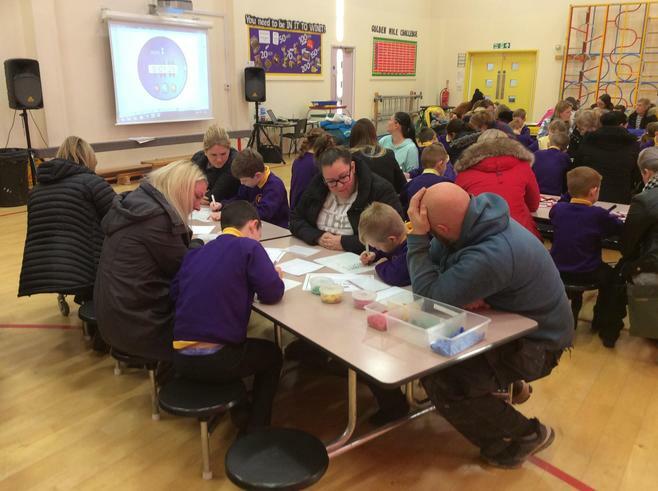 Thank you so much to all our wonderful parents who can in to share poems with the children. It was lovely having you all in school! Welcome back to a new school year! We are very excited to get started. 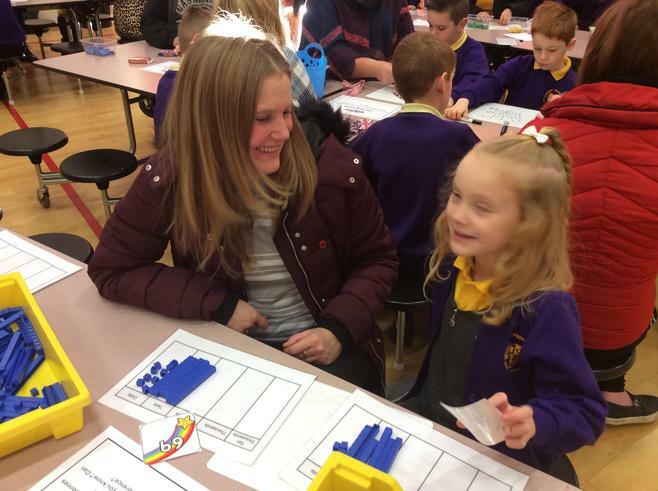 We are holding parents meetings for you to meet your child's class teachers, find out about expectations and it's an opportunity to answer any questions you might have. Thank you for your support! Thank you so much to everyone for joining us for our MADD week celebration. The children loved performing for you and it was a brilliant way to end the year. Thank you for being such suppprtive parents. Thank you so much to everyone who attended our Sports Days. It was delightful to see you al there supporting your children and even taking part in the parent races. Thank you very much to all our parents and carers who helped Year 5 celebrate their learning about the Victorians. It was wonderful to see you all there! 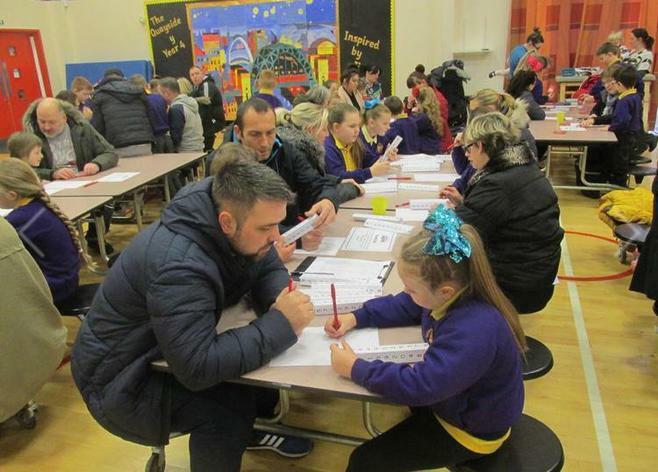 27.3.18 The Year 6 children had a brilliant time teaching their parents how to complete a maths paper! Fantastic learning everyone! 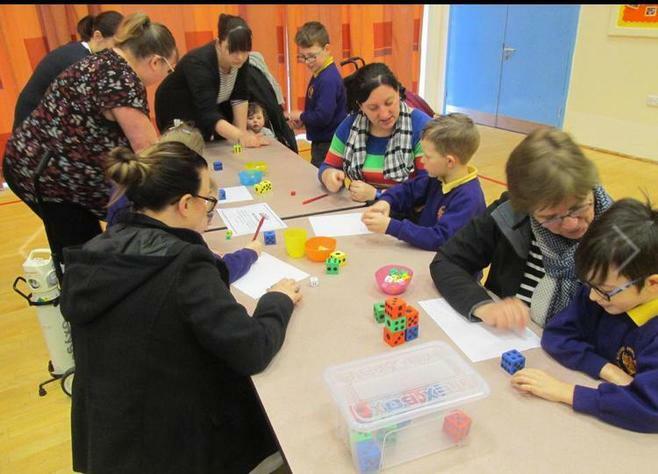 26.3.18 and 27.3.18 Thank you to all the Year 1 parents who came to play board games with their children as part of Maths Week. It looks like you had lots of fun! 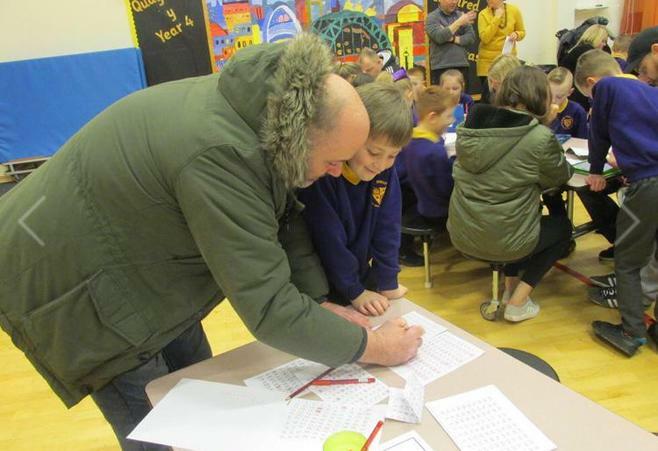 23.3.18 Thank you very much to all our wonderful Year 4 parents who helped their children celebrate the end of their dragonese topic. It was wonderful to see so many of you there! 22.3.14 Wow! 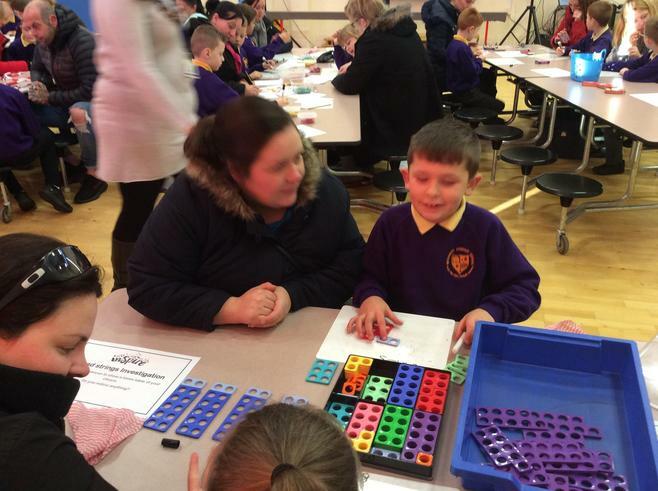 It was lovely to have Liz Bailey helping to teach our Reception parents how to support early counting. Fantastic work everyone! 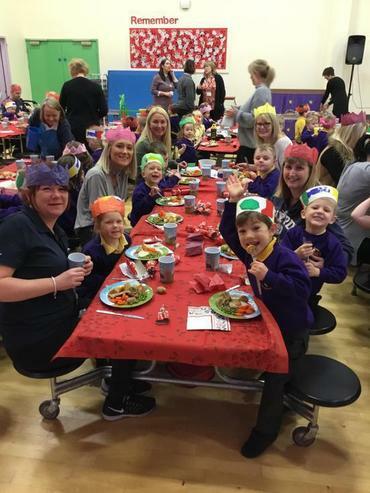 21.3.18 The Year 2 parents had an amazing time celebrating the children's learning! Everyone found out so much about the Great Fire of London! 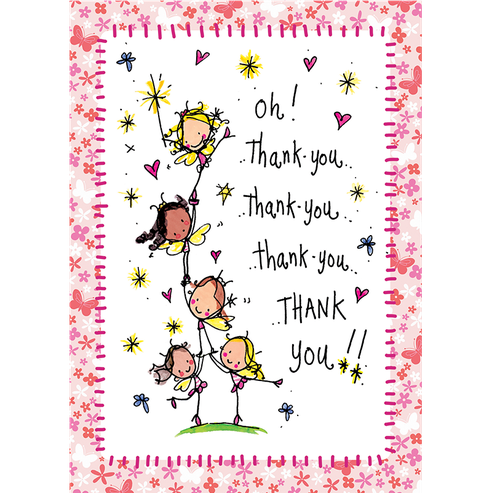 Thank you so much to all our amazing parents who have attended parents evenings this week. 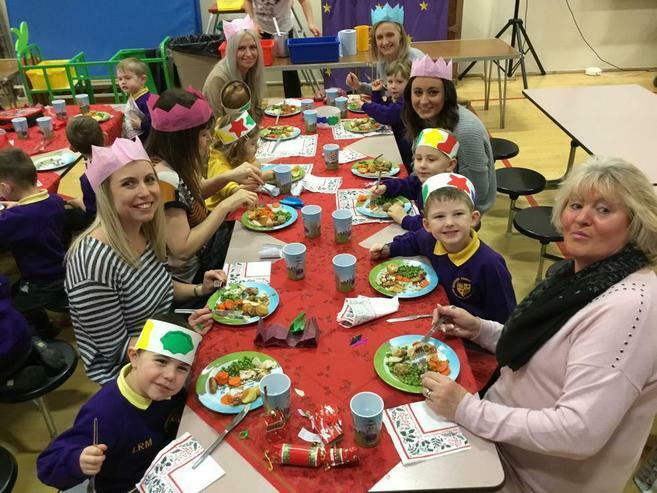 We have loved speaking to all about your amazing children, their progress and next steps. We know that together we can achieve the next for our children. Thank you! 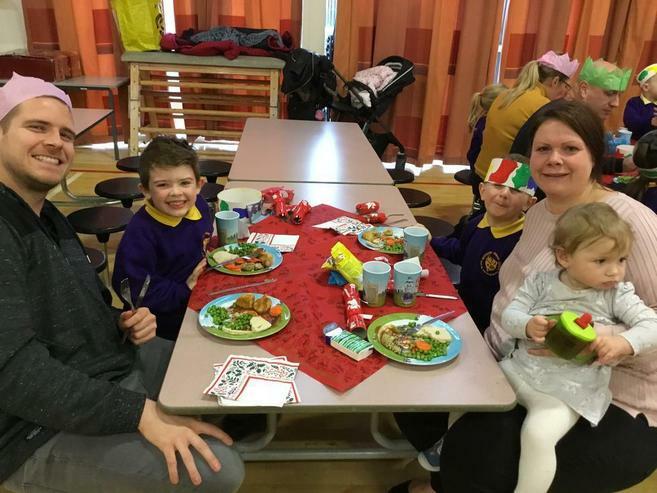 Thank you so much to our lovely parents who came to share stories and read with their children We had over 150 parents in school enjoying books. It was lovely to see the sparks of imagination flying! Well done Westerhope! 5.3.18 Grace Darling project exhibition in Year 1. 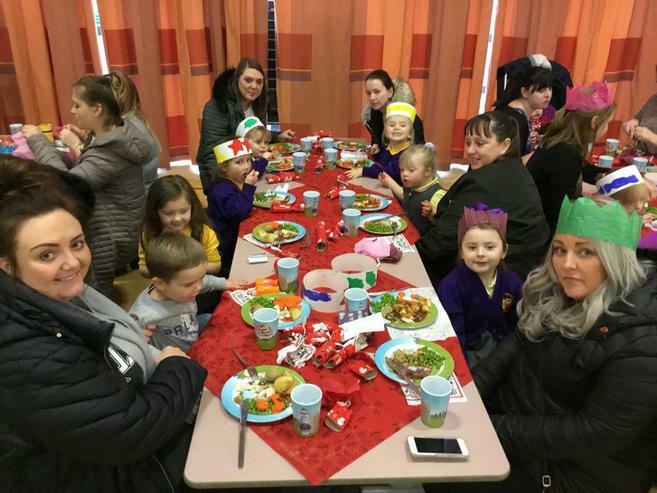 It was lovely to see so many of ourYear 1 parents supporting their children with their learning both inside and outside of school. We know we can achieve great things when we work together! 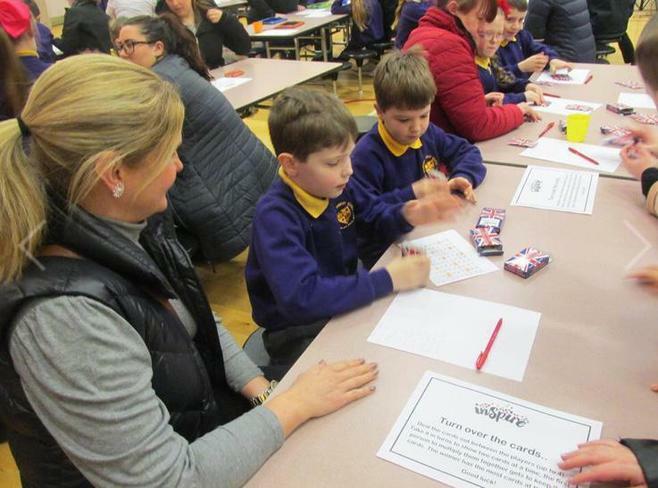 23.02.18 - Year 6 children had fun playing their homemade Ancient Egyptian themed board games with their parents today! 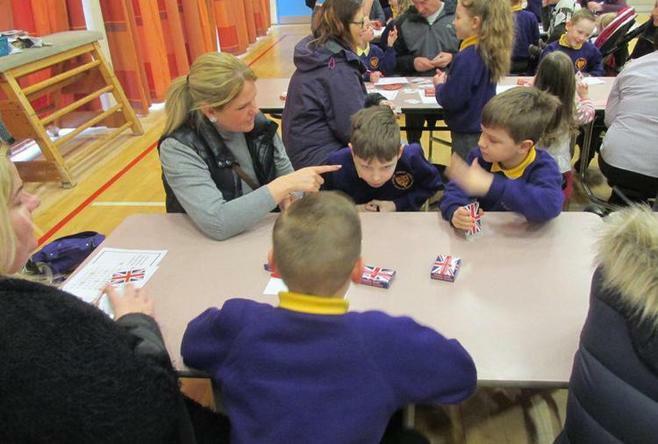 The games were so impressive and parents, pupils and teachers were all impressed with everyone's effort. Well done Year 6! It was fabulous to see so many of you at our BIKE IT breakfast this morning. We all enjoyed eating bacon sandwiches after the effort of a bike to school. Thank you everybody. All ready for our bike it breakfast! We are really looking forward to our first bike breakfast of this year! It’s happening on Tuesday from 8:15-8:45. We can’t wait to see you all there! Wow! Thank you so much for coming to our Inspire event today. 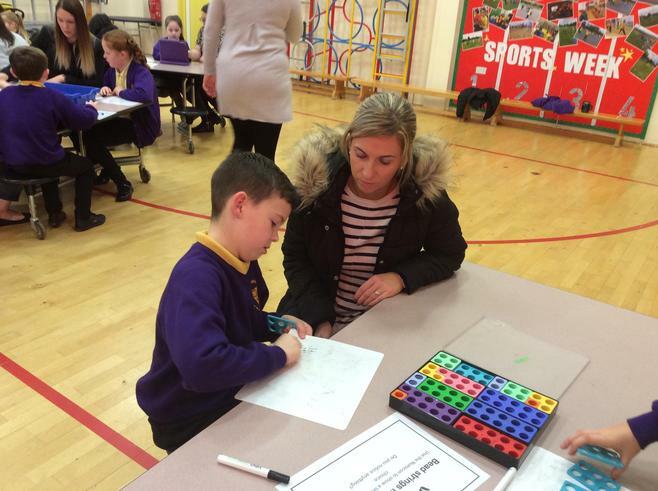 It was a total delight to see all our amazing parents working with their children. If you would like any more support, please check out our learning support pages. 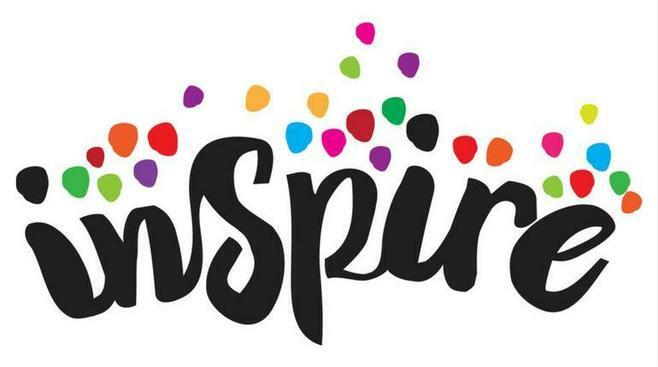 30.1.18 Just a little reminder that we have our Year 3 & 4 Inspire Times Table workshop this Tuesday from 9:00-9:30. We hope you can make it! Thank you much for coming to our Christmas Carol Concert! It was lovely seeing so many of you at Carol Concert. The children loved singing all their songs for you. Our uniform swap shop is open today! Thank you so much to our parents for suggesting the idea and to anyone who has sent in uniform to swap. We will be running our next one in the last week of the school year in July. Thank you for all your support. Wow! What an amazing show the Year 1 and 2 children have put on! We know you will be just as proud of them as us. Thank you so much for coming! Wow! 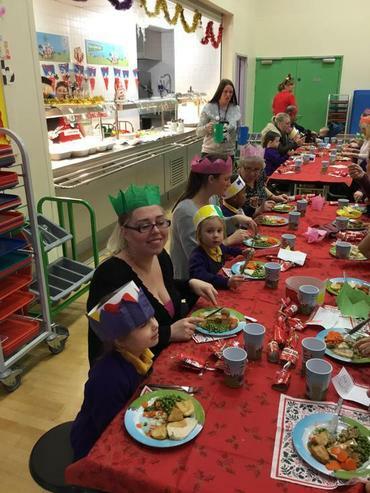 It was amazing to see so many of our wonderful parents in school to celebrate their children’s learning. We loved reading your comments and wanted to thank you for all of your support. It means the world to us. 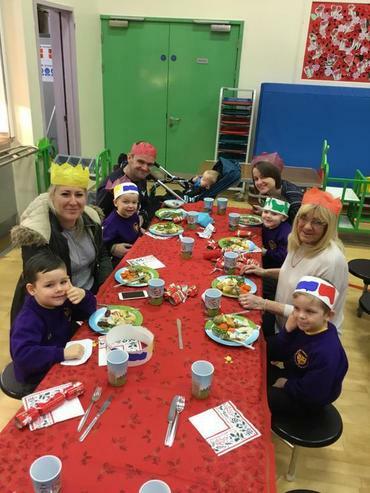 Thank you very much to all the wonderful family members who joined the Reception children for Christmas lunch. 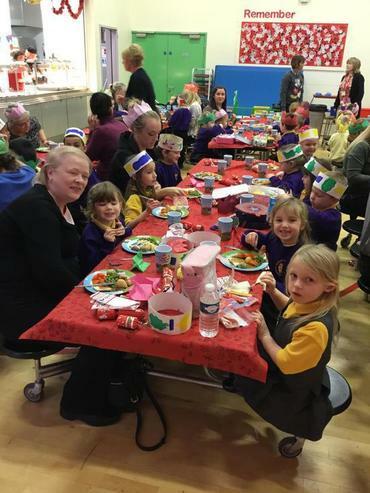 It was wonderful to see you all in school! We have been busy organising a uniform swap shop. This was one of the ideas which came from parents in our questionnaire. We hope you can join us! Thank you so much to all the parents who attended our Year 3 learning celebration. It was lovely to see so many of you there! We are so proud of the children and their achievements and it was wonderful to share this with you! 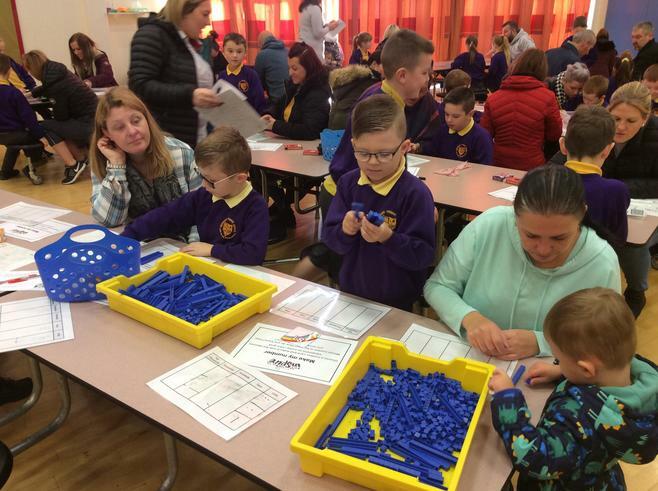 Thank you very much to all the wonderful Year 1 and Year 2 parents who came in today to help celebrate their children's learning. It was a pleasure having you in school! We hope you liked finding out about superheroes and outdoor learning- well done everyone! 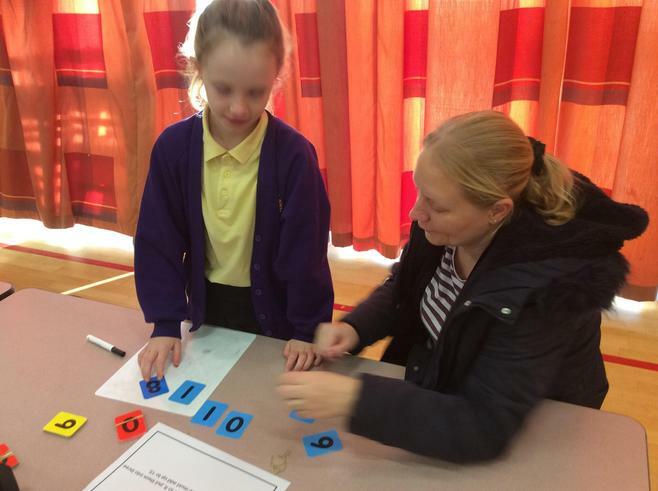 Thank you so much to all the parents who attended the Year 6 SATs workshop. Your support is greatly appreciated. Thank you so much to all our parents who attended our cyberbullying worshop today. 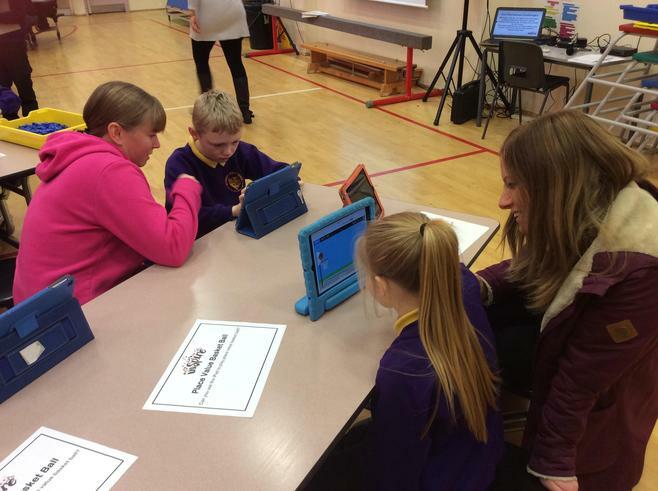 We really value the feedback you have given us and will be in touch soon with information about how eSafety is taught across the school. We really value your support and once again, please just let us know if there are any other workshops you would like. Thank you to everyone who came along to take part! On Tuesday 14th November at 9:00 and 2:30 we will be holding two workshops to give you advice and support on how to prevent cyber bullying. This is part of our Anti-bullying week. We hope we see you there! Wow! Thank you so much for the unbelievable response to this event. We really appreciate your support. Now we know how popular it is, next year we will hold the event in key stages or classes. We loved seeing you all there! 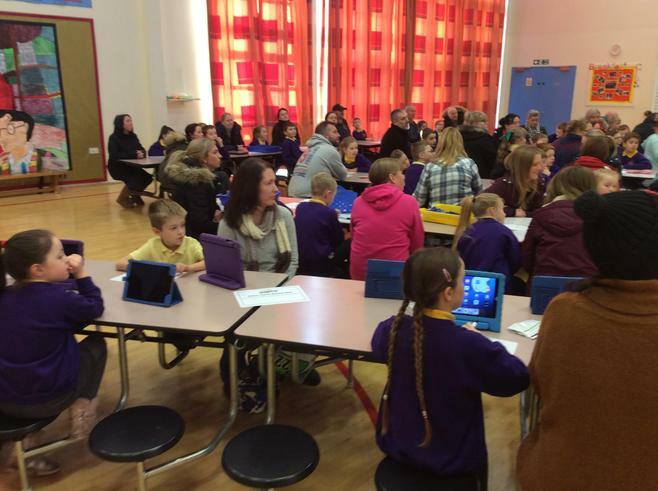 Thank you so much to all the parents who attended our Phonics International Workshop today. 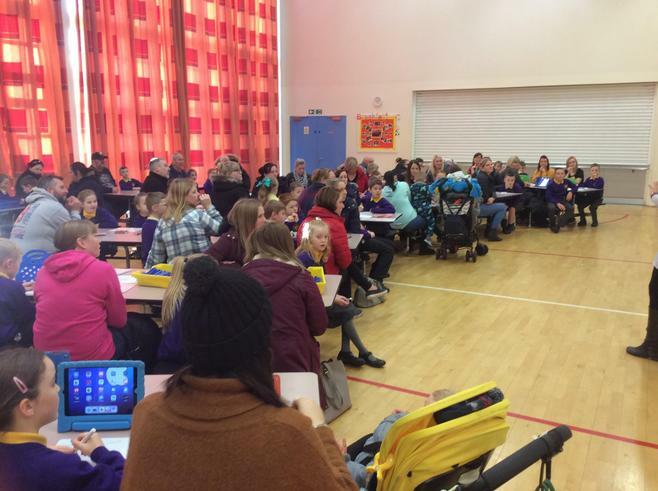 It was lovely to see all of you there - we had 70 parents attend! Thank you for your feedback too. We will be holding parent and child workshops in Spring term for you to see how Phonics is taught and to support the children further. We have two very exciting events coming up next week. We have our Phonics International Talk with Mrs Purdy on Wednesday morning at 9:00 and then our 'Tales and Teapots' reading week celebration. For more information, please see the attached letters. We hope see can see you there! Wow! It was so lovely to see so many of you attending our Reception Welcome meeting. We know the children are going to be so well supported at home. If you missed the session, you can view the information given below. Thank you! Thank you very much to everyone who came into school for our welcome meetings. 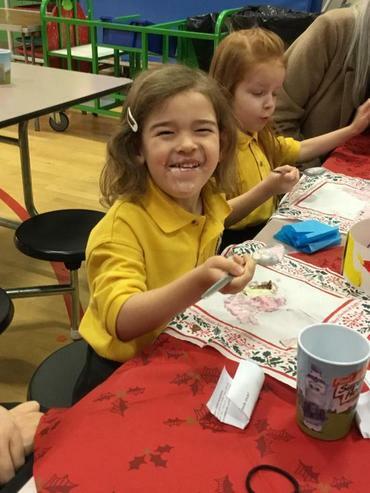 We loved telling you about our timetables, expectations and exciting events through the year. If you need any more information, check out our class pages.